Starting as a family business over 40 years ago (in 1961), Bridgemere is now one of the most widely recognised garden centres in Europe. Its unprecedented size has also earned it the title “Biggest Garden Centre” in the Guinness Book of Records. Covering more than 25 acres, the site attracts around 1.8 million visitors per year. 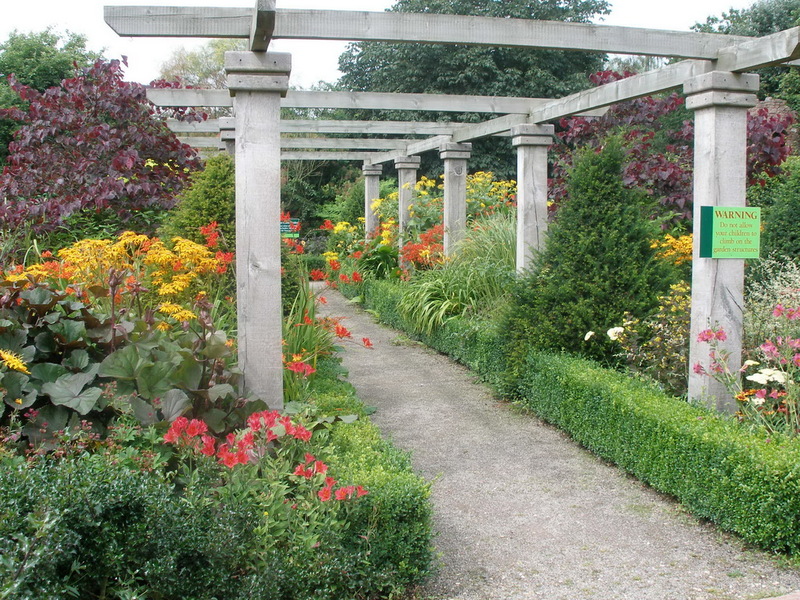 Bridgemere’s attractions extend much beyond that of a garden centre, with numerous different gardens on site, such as the English Country Garden and the Victorian garden, which are intended to provide visiting amateur gardeners with new and unique ideas for their own gardens. Bridgemere also reproduce display gardens from both RHS Chelsea and Tatton Shows. Also on site are various shops, such as the recently opened “Hobbycraft”, selling everything from clothing to books to gardening appliances. For those wishing to spend longer at the garden, there is a café and an Egon Ronay- recommended restaurant. In a special area of the garden centre – called the Bridgemere Gardens – there are over 20 show gardens on site, covering around seven acres. These have been especially created to provide inspiration to visitors and range from the sumptuously planted traditional English Cottage Garden, (complete with its own cottage!) to a drought loving, exotic Mediterranean Garden. Also within this area is the original Gardener’s Diary garden where the television series was filmed, together with other inspirationally planted themed areas, including folly, water, woodland, rose and patio gardens. Winning display gardens seen at the Tatton and Chelsea shows have also been reconstructed to provide amateur gardeners with ideas and tips for their own gardens. The Bridgemere Gardens has been planted to provide interest all year round. The vibrant colours of daffodils, rhododendrons and azaleas in spring are closely followed by a huge range of summer perennials. The rich colours of autumn foliage are on show during September and October, and winter colour is provided by heathers, snowdrops and other early flowering bulbs. 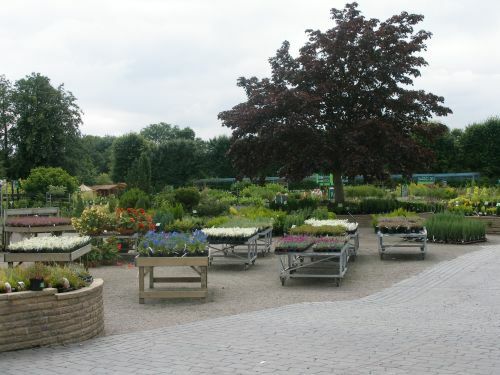 In the garden centre area over 5,000 plants of various varieties (mostly grown on site) are available to buy in the vast indoor and outdoor gardening complexes. Numerous garden accessories are also available, together with garden furniture, patios, patio heater and conservatories. A recent addition has been the Hobbycraft undercover shopping centre, selling, amongst other things, a diverse range of gifts, food, clothing and books. Visitors who want to linger at the garden centre can also enjoy the coffee shop and an Egon Ronay- recommended restaurant. Ripples: Mon – Sat 9am-6pm, Sun 11am-5pm. Take place throughout the year, ranging from gardening workshops to car and motorbike shows. See website for details. Shop: Wide range of gifts, books, food, clothing, furniture, stoneware and gardening goods, including the two main shops, Hobbycraft and Ripples [see above for opening]. WC: WCs located within the centre, complete with baby changing facilities. These include disabled toilets. Accessibility: Wheelchair access within the Centre, which is largely on a single level. Loading area and carry to car service available. Children’s programme: Children’s play area, free baby food in coffee shop.